The online version of this article (doi: 10.1186/s13287-016-0431-z) contains supplementary material, which is available to authorized users. Fanconi anemia (FA) is a multisystem disorder resulting from mutations in one of at least 22 genes that encode the FANC family of DNA repair proteins [1, 2]. For most patients, the associated bone marrow failure presents the most pressing clinical issue. The hematopoietic stem cell (HSC) attrition that underlies the typical cytopenias appears to reflect a combination of accrued DNA damage and an exaggerated susceptibility to innate immunity or aldehyde detoxification [3, 4]. 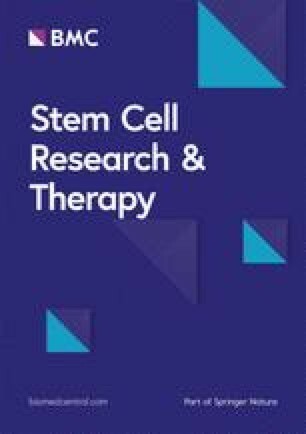 Curative allogeneic stem cell transplantation, however, is available only to patients with suitably matched related or unrelated donors, and places them at risk of procedure-related complications [5, 6]. As an alternative, several groups are working to develop gene therapy methods to stably correct the patient’s own HSCs, using retro- or lentiviral vectors (LVs) [7, 8]. HSC-directed gene therapy has been successfully used to treat several hematologic and immunodeficiency disorders , but FA patients present unique challenges. Typically, the bone marrow (BM) cellularity of the patient is reduced, HSC numbers following G-CSF mobilization are low, and repopulation properties are further lost during ex vivo transduction culture [10, 11, 12]. Direct injection of viral vector particles into the BM has been proposed to bypass ex vivo manipulation of FA HSCs, but this strategy leads to rapid dilutional losses, complement neutralization, and vector sensitization [13, 14]. Several classes of enveloped viruses, including human T-cell leukemia virus (HTLV-1), form viral ‘biofilms’ that non-specifically attach virion particles to cells . Indeed, direct biofilm-assisted cell-cell transfer increases viral transmission and systemic distribution to distant tissue sites [15, 16]. Cellular capture of human immunodeficiency virus (HIV) particles was also observed as a mode of HIV transmission across genital and gastrointestinal mucosal surfaces . We previously reported that cell surface-bound HIV-1-derived LV particles gain protection from serum neutralization and transfer between cells with relatively greater efficiency compared with several cell-free virions [18, 19]. Here, we exploited those observations in a strategy that combines in vitro exposure of LV to “carrier” cells that traffic to the bone marrow, thereby minimizing in vitro manipulation of FA HSCs while achieving stable transduction through cellular in situ delivery. To simulate the key steps in this process, we systematically analyzed the role of chemotaxis to promote carrier cell migration to the hematopoietic niche. Given its critical role in BM homing, C-X-C chemokine receptor type 4 (CXCR4)-expressing leukemic cells L1210 and murine progenitors were used as carrier cells to demonstrate chemotactic migration in vitro and in vivo, respectively. Radiation of carrier cells prior to vector binding was used to avoid the persistence of carrier cells after vector delivery to recipient cells. Results showed that carrier cells can migrate along a chemotactic gradient of stromal derived factor-1α (SDF-1α) and traffic FANCC expressing LV to Fancc –/– murine hematopoietic stem and progenitor cell (HSPC) target cells, with subsequent transduction (TD) and expansion under selection pressure. A lentiviral vector (LVCG) expressing GFP was used to measure the cell-cell transfer rate of vector particles in vitro. Carrier cells were generated by transducing human embryonic kidney cell line (HEK293T) with a DsRed expressing lentiviral vector (LV-DsRed) and enriched to purity by flow cytometric sorting. Primary transduction (1° TD) and secondary transduction (2° TD) to the bystander cells are detected based on the reporter protein expression in the transduced cells (Fig. 1a). In this experimental set-up, four fluorescence protein expression patterns could be observed: non-transduced carrier 293 T-DsRed cells, non-transduced wild-type 293 T cells, primary transduced (1° TD) 293 T (DsRed + GFP) cells, and secondary transduced (2° TD) 293 T-GFP cells (Fig. 1b). Radiation was used to selectively eliminate the carrier cells after 2° TD. Results show that the irradiation (Ra) of carrier cells had no significant impact on vector transfer to 2° recipient cells (Fig. 1c). Cells were maintained in culture for up to 4 weeks to analyze both 1° and 2° transduced cells. The projected depletion of irradiated carrier cells over time and the stability of transgene expression from integrated lentiviral vector was further confirmed by analyzing long-term culture (Fig. 1d). To assess the stability of vector attachment to carrier cells, cells incubated with vector were washed repeatedly, and followed each time by co-culture with the recipient cells. The number of washes did not appear to significantly affect the rate of secondary transduction, suggesting that LV biofilms are not easily disrupted during manipulation prior to contact with recipient cells (Fig. 1e). To simulate 2° TD events after migration, we used a murine leukemia cell line, L1210, which constitutively overexpresses the chemokine receptor CXCR4. Cells with CXCR4 receptor expression exhibit chemotaxis towards the SDF-1α. 293 T cells in SDF-1α supplemented medium were plated in the bottom chamber of the transwell plate to facilitate 2° transduction after migration. Results indicate successful migration of L1210 cells along an SDF-1α gradient to the recipient 293 T cells (Fig. 1f). Given the direct competition between carrier and recipient cells for uptake and transduction by vector particles, we observed anticipated losses to 1° TD on carrier cells that occur during the course of cell-to-cell transfer of vector particles for 2° TD recipient cells (Fig. 1g). Overall, the experimental model of 2° TD after migration of irradiated carrier cells supports its potential for in situ gene delivery of therapeutic transgenes. Bystander cell transduction by LV particles using carrier cell delivery has the potential for therapeutic phenotypic correction of FA target cells located in an internal tissue compartment. Here, we modeled cellular delivery by using vector-bound HSPCs as carrier cells migrating by chemotaxis towards PD331, a human FANCC –/– fibroblast recipient cell line maintained in SDF-1α containing medium (Fig. 2a). Primary progenitor cells were used from Tomato protein-expressing transgenic animals  as carrier cells along with an HIV-based lentiviral vector LV-GFP-FANCC that expresses a GFP reporter and human FANCC for the phenotypic rescue. Co-culture of HSPC-Tomato cells carrying vector with PD331 cells resulted in the 2° TD of PD331 cells, indicated by GFP-FANCC-positive PD331 cells (Fig. 2b). Case reports suggest that selective clonal expansion of spontaneously corrected HSPCs in FA patients can correct peripheral blood cytopenias [21, 22]. To mimic such a selection, we cultured phenotypically corrected FA cells in the presence of the DNA alkylating agent mitomycin-C (MMC). Results demonstrate significant 2° TD in the presence of SDF-1α while MMC enriches the transduced cells post-delivery (Fig. 2c). The FA pathway is known to be activated in response to MMC-induced DNA damage . A gain in mean florescent intensity (MFI) of GFP from the GFP-FANCC fusion protein cassette was observed (Fig. 2d) in 2° transduced PD331 cells, suggesting phenotypic rescue by the GFP-FANCC transgene expression. Genomic DNA was extracted from the 2° transduced PD331 cells to analyze the vector DNA status in these cells by PCR using primer combination of poly purine tract (PPT Forward primer) from vector backbone and transgene (GFP-Reverse primer) expression unit. Proviral integration and the status of GFP-FANCC transgene cassette was confirmed in these 2° TD PD331 cells (Fig. 2e). When the 2° transduced PD331 cells are maintained in the presence of MMC, the ongoing selection pressure enriched the PD331-GFP-FANCC cells rapidly (Fig. 2f). The successful selection of corrected FA phenotype cells in vitro suggests the feasibility of translating this approach to an in vivo murine model of FA. The application of 2° TD for the delivery of a therapeutic vector was analyzed in vivo by testing GFP-FANCC expressing LV in conjunction with carrier cells followed by in vivo selection to expand the genetically corrected HSPCs. Conceptually, the chemotactic migration towards BM and the ability to shield the vector particles from neutralizing antibodies suggests that hematopoietic progenitors can be a suitable model to test in vivo delivery of LV particles . We used hematopoietic progenitors as carriers derived from Tomato-positive transgenic B57BL/6 J mice (Tomato HSPCs) for the delivery of LV-GFP-FANCC vector to the recipient cells (CD45.1 HSPCs) . The 2° TD events were measured by GFP expression (FACS) and colony-forming assay to confirm the intercellular transfer of LV between the HSPCs. Consistent with earlier results, MMC exposure of the 2° target improved post-transduction transgene expression suggesting the protein response to induced DNA damage (Fig. 3a) . Vector transfer between carrier and recipient HSPCs was further analyzed by colony-forming assay which allowed us to distinguish colony-forming units from both 1° (Tomato + GFP) versus 2° TD (GFP) events (Fig. 3b). Finally, we determined in situ transduction rates in vivo in Fancc KO (Fancc –/–) recipients (CD45.2) following low-dose ionizing radiation (200 cGy) conditioning to induce SDF-1α release and carrier cell homing to the BM. We used lineage depleted (Lin–) CD45.1 progenitors as carrier cells, irradiated at 1000 cGy to avoid post-delivery persistence, and exposed these irradiated carrier cells to LV-GFP-FANCC vector at MOI 20 for 6 h (Fig. 3c). To determine bone marrow homing of vector-bound, irradiated HSPCs, we measured CD45.1 chimerism (carrier) versus the endogenous recipient cells (CD45.2 Fancc –/– ) in the peripheral blood (Fig. 3d). Predictably, recipient cells represented a dominant fraction in transplanted animals and indicate the intended loss of irradiated carrier cells as well as vector delivery to endogenous targets in the bone marrow. To further boost the percentage of phenotypically corrected Fancc –/– HSPCs, we used serial low doses of post-transplant ionizing radiation . Remarkably, the 2° TD Fancc –/– KO animals showed a consistently expanding population of GFP-FANCC expressing cells (Fig. 2e), illustrating the in vivo selection and expansion of FA HSPCs via 2° TD. The same ex vivo manipulation of HSPCs successfully utilized in several hematopoietic gene therapy trials appears to impair the proliferation and repopulation potential of FA HSPCs [25, 26]. An alternative direct inoculation of vector into the bone marrow for transduction of host cells, on the other hand, risks complement neutralization and the possibility of eliciting an immune response . By contrast, carrier cell surface bound vector particles appear to escape neutralization by serum complement , and the in situ gene delivery into the bone marrow stem cell compartment using carrier cells has not been previously attempted. Several underlying principles of systemic delivery and distant target cell transduction have already been validated for oncolytic virotherapy, where antigen-specific (for homing) T cells delivered oncolytic measles virus particles to control metastatic growth [28, 29]. Combining these principles with LV hitchhiking, i.e., cellular vector capture by carrier cells, ex vivo protection from elimination by the host innate immune surveillance, chemotaxis to the BM microenvironment, and in situ delivery to BM stem cells may confer functional correction in FA . We systematically simulated the critical aspects of in situ gene delivery, including secondary transduction and clearance of carrier cells. Considerable evidence supports the involvement of CXCR4-SDF-1α as the critical axis for homing to the bone marrow compartment [31, 32, 33]. In proof of principle studies, we used low-dose radiation to elicit SDF-1α-induced homing of carrier HSPCs to the bone marrow to mediate in situ delivery of the therapeutic LV-GFP-FANCC vector to endogenous Fancc –/– HSPCs. Our model relies on congenic HSPCs as carriers for vector delivery to recipient HSPCs. For clinical translation, non-radiation based strategies, including inducible suicide genes (HSVtk, iCaspase-9), would be preferable to effectively eliminate the carrier cell population in vivo . Finally, the in vivo selection of a small number of transduced cells is a critical component of our approach. Clonal expansion of spontaneously corrected HSPCs under naturally occurring positive selection suggests that a minimal number of corrected cells can lead to clinical reversal of cytopenias in FA patients [19, 20, 21]. Hence, we propose that a small population of functionally corrected FA HSPCs via 2° TD can restore hematopoiesis in the FA patients using optimal in vivo selection methods . In aggregate, the described approach of in situ cellular delivery and phenotypic correction of HSPCs may be suitable to incorporate while designing gene therapy protocols for FA. These studies were funded in part by grants from the “Friends of Doernbecher” (PK) and R01HL90765 (PK). Materials and methods are available online (Additional file 1). SCV, NAG, and PK conceived and designed the experiments. PK and SCV analyzed the data and wrote the manuscript. SCV and NAG conducted in vitro and in vivo experiments. All authors read and approved the final manuscript. Habi O, Girard J, Bourdages V, Delisle MC, Carreau M. Correction of Fanconi anemia group C hematopoietic stem cells following intrafemoral gene transfer. Anemia. 2010;2010:13. doi: 10.1155/2010/947816.